ZirTek™ Combo PFZ is the ultimate Porcelain-Fused-to-Zirconia solution for patients needing the best in esthetics and durability. 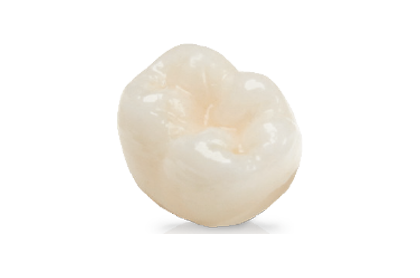 For anterior and posterior crowns or any size bridges, ZirTek™ Combo PFZ is the top choice. Made from solid, monolithic zirconia with 1100 MPa flexural strength, anterior teeth feature a facial cut-back and hand-stacked porcelain layering. The combined result is a restoration that is both beautiful and strong. Along with the rest of our ZirTek™ line of restorations, ZirTek™ Combo PFZ comes with a 7-year warranty. Due to the expert craftsmanship needed for this restorative option, ZirTek™ Combo PFZ has a lab turnaround time of 7 days.